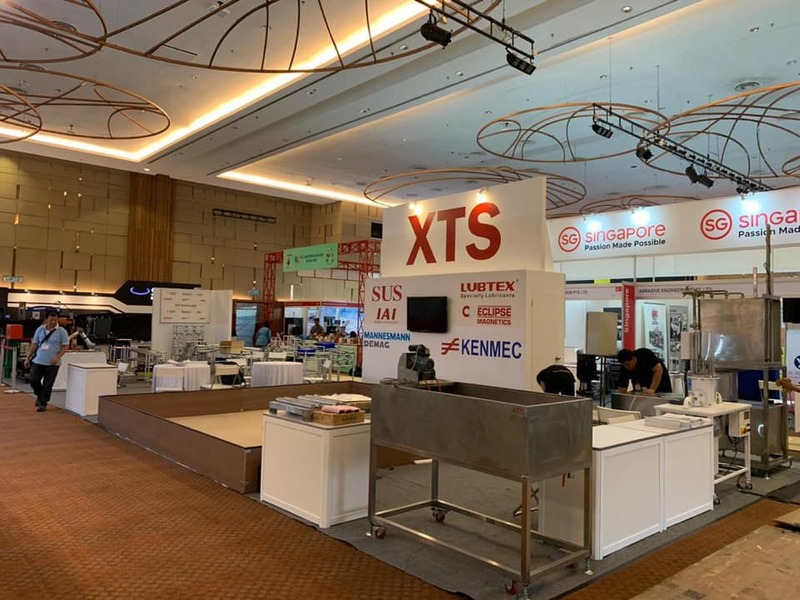 Our first day at MTE 2019. Come and visit us at booth 1F-01 (Hall 1) for our robotic automation KUKA, Yaskawa, Ultrasonic Cleaning, Universal Robot (UR), Karakuri System, Spray Wash Machine, Magnetic Filter and Oil Skimmer. From 24th until 27th April 2019 at Setia City Convention Centre (SCCC), Shah Alam Malaysia. See you all there! 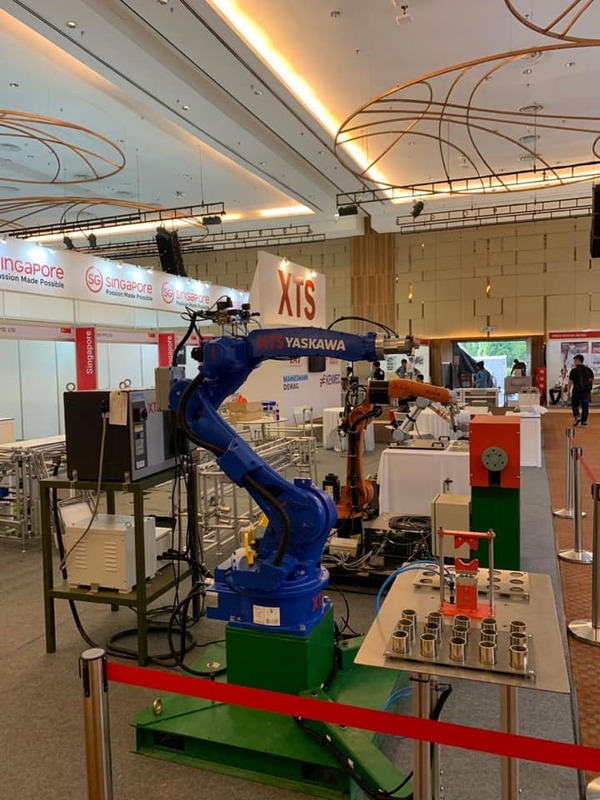 XTS Technologies Sdn Bhd will participate in Metal Technology Expo 2019 (MTE 2019) with our robotic automation KUKA, Yaskawa, Universal Robot (UR), Karakuri System, Spray Wash Machine, Magnetic Filter and Oil Skimmer. Factory extension done with additional floor can delivered better automation machine to customer. XTS have just delivered and commissioning a cassette washer in media cassette Cleanner in Kulim penang. Latest warehouse logistics sorting conveyor come with 3D dimension scanner, weighing scale and cctv camera for the security purpose. We expertise your 11/11 or 12/12 shipment by using our system. Please contact sales@xtstech.com for this sorting conveyor. 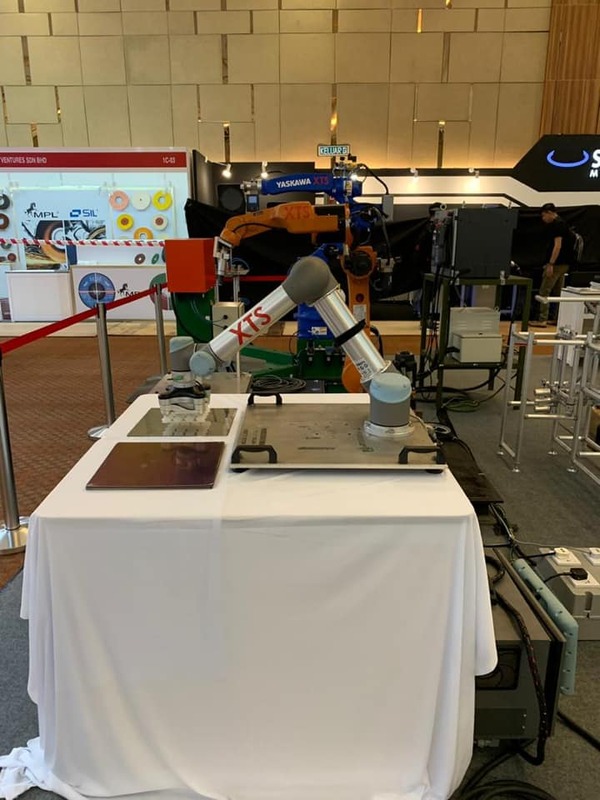 XTS are invited to attend as system partner in Vietnam Hanoi as one of the system partner for KUKA. We are System Integrator for Robotic Automation. Thanks for KUKA Asia Pacific making XTS as one of the System Partner in this region. Thanks. Oil and Gas (O&G) usage for mild steel gavanise steel. we design and fabricate in house in Puchong Factory. Vibration bowl for screw and nut feeding to automation system for assembly. CNC machining such as Horning, Milling, Grinding, Lathe and other Part Assembly before CMM, VMM or QC. XTS Technologies Sdn. Bhd. have participate in METAL TECHNOLOGY EXPO 2018 or MTE 2018 will be offering a brand new experience for the Metalworking and Machine Tools industry for their sourcing needs. Playing host for a 4-day trade event which will attract thousands of buyers from them local, regional and international scene. We strive to provide an aweinspiring platform for the exhibitor to launch, promote and secure businesses. We are specialist in automation in Malaysia. 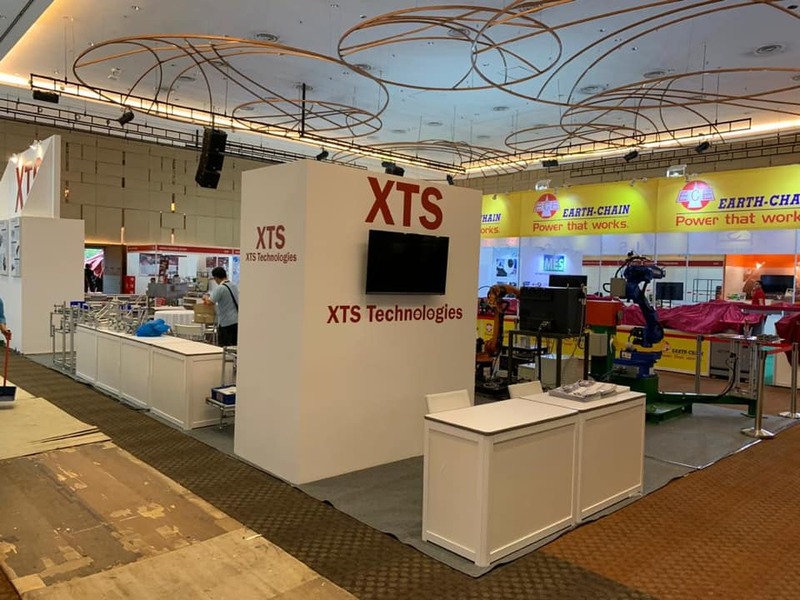 XTS Technologies Sdn Bhd. in order to enhance our Research & Development team, XTS have invested a 3D printer to enhance our cleaning and automation development on November 2017, we will continue carry out the extensive development and bring more technologies and idea to the Malaysia industry. XTS Simple High Efficeincy wash cleaning cabinet washers make in Malaysia are available in larger sizes to small size and can be equipped with multiple stages for rinsing and drying. This cabinet washer platform is pre-engineered, very robust and designed for the budget conscious. This is one of a series of "Right Sized" and "Right Priced" cabinet type parts washers specifically designed for use within lean or cellular manufacturing processes. Because of its reduced footprint and high flexibility, this spray washer can be easily integrated into small footprints work cells. CNC machining such as Horning, Milling, Grinding, Lathe and other Part Cleaning before CMM, VMM or QC. XTS Extensive design and fabrication team can design fine mesh filter strainer such as mesh 10,20,30,40,50,60,70,80,90,100 and etc. Application such as boiler, vessel usage, Filter gas, filter oil, Feed filter basket stainer, Sherler, canopy for Oil & Gas Plant. SUS 304 or 316 we are capable to handle. We supply to end customer such as Aker Solution, Petronas, Hicom and etc.